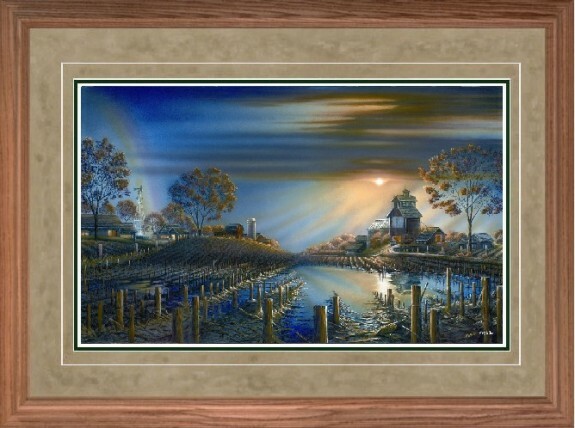 This collection of paintings, now referred to as “The Farewell Collection” , gives collectors a rare glimpse of Terry Redlin’s work while in process. These three paintings were near completion when illness resulted in the artist’s decision to retire. 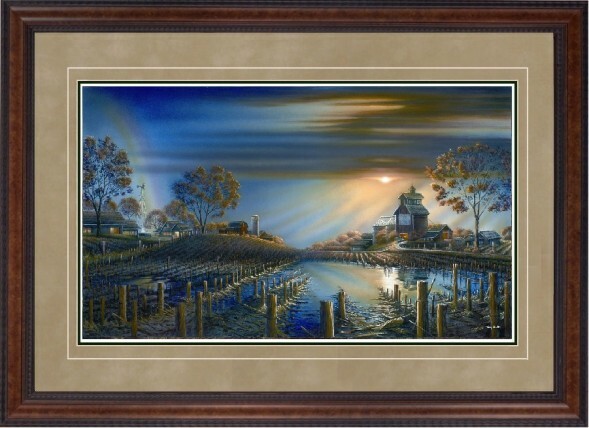 Because of the desire from his collectors to see, enjoy and collect everything Terry Redlin created, the Redlin Art Center is pleased to offer this unique opportunity to experience a piece of art the artist was still working on. The Farewell Collection consists of three paintings, “Sunrise”, “Sunset”, and “After the Storm”. 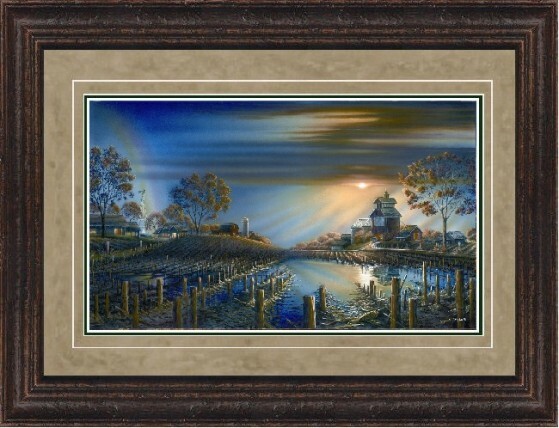 “Sunrise” was released in 2017, "Sunset” in 2018, and the final painting, “After the Storm” , on April 24, 2019 - the third anniversary of Redlin’s passing. 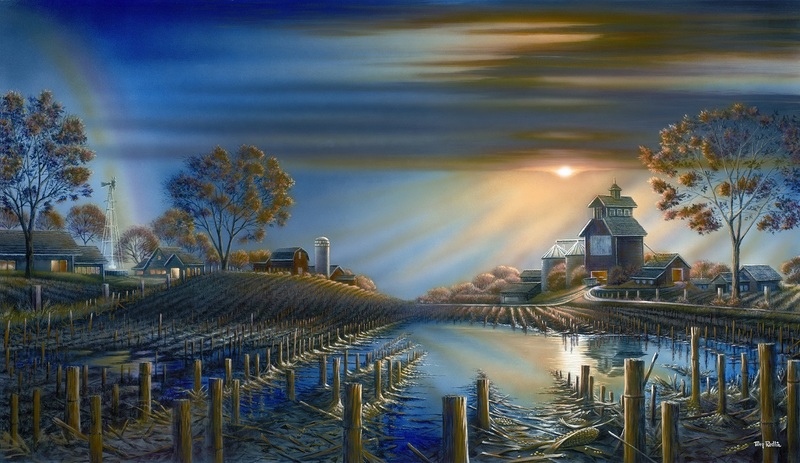 In this painting, Redlin takes us to the farm where the rain storm has cleared and the sun is breaking through the clouds. The standing water in the harvested corn field tells us it was a good rain – a real soaker. And there, in the distance, is a rainbow! The first we have ever seen in a Terry Redlin painting! Although missing some of the fine brush strokes and intricate detail he was known for, this beautiful painting invites us to imagine what the artist may have added next. What was he intending to paint onto the sign above the grain elevator door? Was he going to add wildlife to the scene? We are left with many questions about the story he was trying to tell, but we know for sure that he was capturing a memory…his memory of this rural landscape “After the Storm”. The Redlin Art Center invites you to lose yourself in the art of Terry Redlin and this special piece, one of Terry’s last gifts to collectors. A commemorative print is available as an open, unsigned edition in the Redlin Gift Shop from April 24, 2019 through December 31, 2019. The original oil painting, “After the Storm”, will be on temporary display within the Redlin Art Center beginning April 24th as a tribute to an artist – and a man – admired and loved by so many. Due to demand, ALL THREE prints from The Farewell Collection are currently available framed and unframed in the Encore II Edition for a limited time.